Do you or someone in your family suffer from asthma? Do you feel like your home may be aggravating your condition? Particularly mold? GLS Engineering can test for mold and other common allergens and develop realistic solutions to help keep your home environment from becoming a catalyst for asthma episodes. 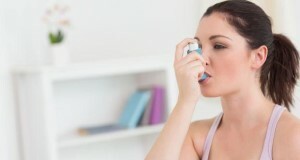 If you frequently experience shortness of breath or you hear a whistling or wheezy sound in your chest when you breathe, you may have asthma — a chronic condition that causes inflammation and narrowing of the bronchial tubes, the passageways that allow air to enter and leave the lungs. If people with asthma are exposed to a substance to which they are sensitive or a situation that changes their regular breathing patterns, the symptoms can become more severe. Asthma symptoms affect an estimated 26 million Americans — 19 million adults and 7 million children — and are one of the leading causes of absences from work and school. Asthma often runs in families; according to the World Health Organization, about half the cases are due to genetic susceptibility and half result from environmental factors. Although there is no cure for asthma, effective treatments are available. Asthma can be best managed by seeing an allergist. There are two types of asthma: allergic (caused by exposure to an allergen) and nonallergic (caused by stress, exercise, illnesses like a cold or the flu, or exposure to extreme weather, irritants in the air or some medications). Prevention of symptoms is the best strategy. A person with asthma should know what situations trigger an attack and avoid them whenever possible. If asthma attacks are severe, are unpredictable or flare up more than twice a week, consultation with an allergist can help to determine their cause and provide long-term treatment that controls or eliminates the symptoms. For more detailed information, visit the asthma treatment page. Asthma is among the most common chronic childhood illnesses, accounting for 10.5 million missed school days a year. It also accounts for 14.2 million lost workdays for adults. Every year, about 14 million Americans see a doctor for asthma. About 1.4 million patients visit a hospital outpatient department for asthma; almost 1.75 million go to a hospital emergency room. The number of people in the U.S. diagnosed with asthma is increasing. The greatest rise in asthma rates is among black children, with an almost 50 percent increase from 2001 through 2009. Researchers estimate asthma-related costs, including the direct cost of health care and indirect costs such as decreased worker productivity, at around $60 billion annually. Many people with asthma manage the condition well and can live a healthy and productive life by avoiding triggers and following their allergists’ instructions. If left unmanaged or misdiagnosed, asthma can be fatal; about 3,300 people die from it annually. If you are looking for a South Carolina mold testing, call GLS Engineering at 843-881-4803, or fill out our online request form.